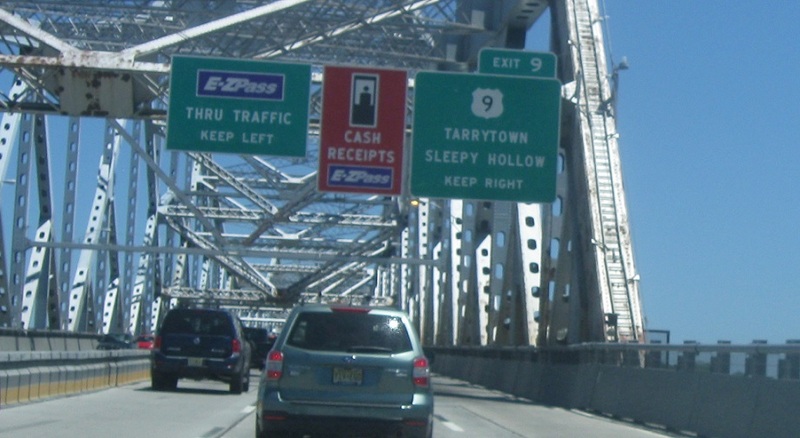 Before we cross the Tappan Zee, we’re advised to keep right for US 9 once we get over the river. 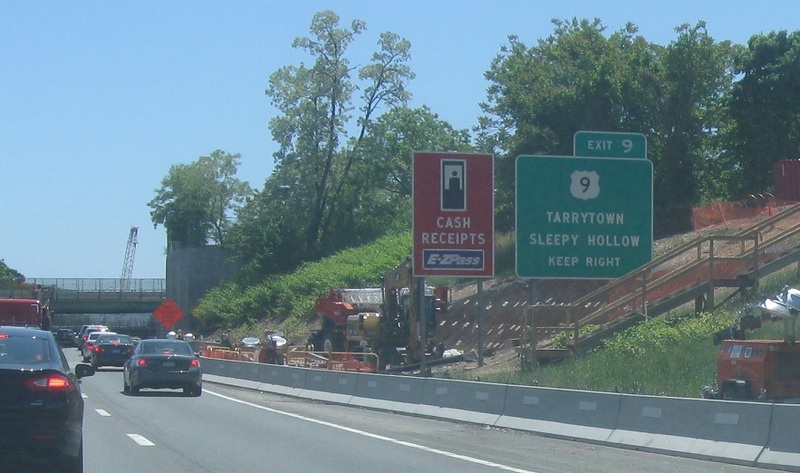 Reassurance shield after US 9W traffic joins. 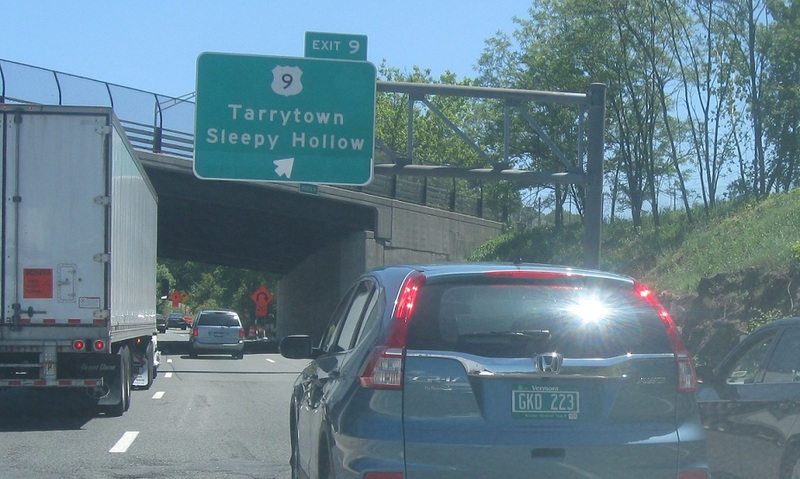 As we cross the Tappan Zee, keep right for US 9. 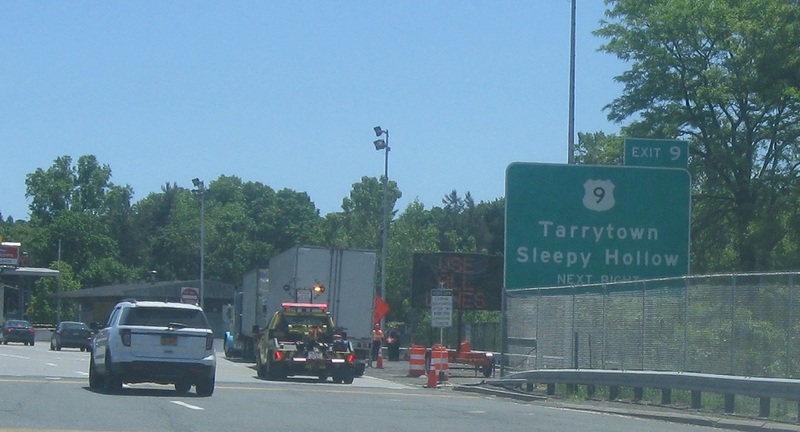 As we cross the Tappan Zee, keep right for US 9 after the tollbooths. 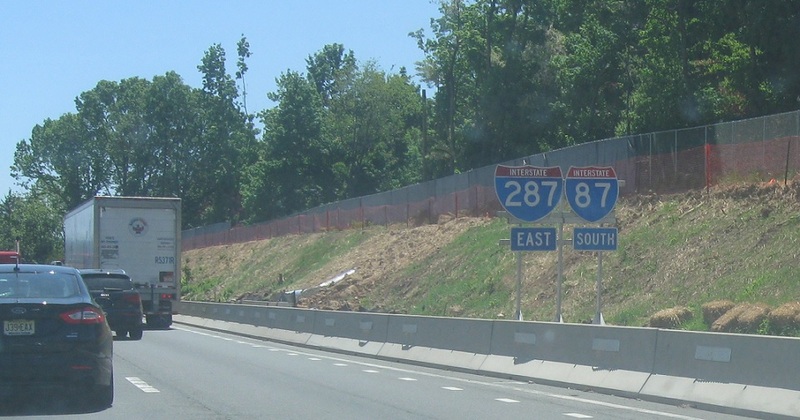 Exit for US 9, with a direct connection to NY 119 for traffic on I-87/287 north.